The NERIE library is a section headed by Dean of Instructions. It has a collection of more than 6800 books on Subjects relating to Education, English, Science, Social Science and also books on different languages including Hindi, Urdu, Bengali, Khasi, Mizo, Assamese and Garo languages. For References the Library has a collection of Encyclopedias for various Educational disciplines, Dictionaries, Glossaries and Reports. 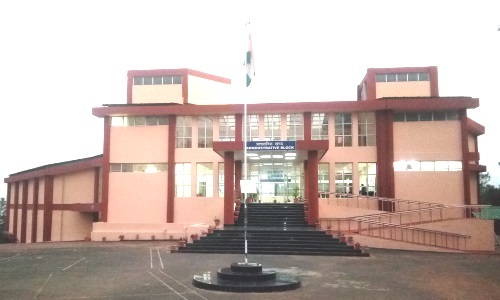 NERIE library subscribed to 7 newspapers namely; The Shillong Times, The Times of India, The Assam Tribune, The Telegraph, Mawphor(khasi), Poorvanchal Prahari(Hindi) and The Employment News. 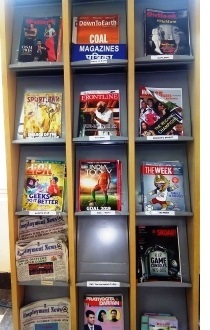 The library also subscribes to 8 magazines namely; Frontline, India Today, Outlook, The Week, Competition Success Review. Wisdom, The Reader’s Digest and Pratiyogita Darpan. Different sections in the Library. Various services in the Library. The Library remains open from Monday to Friday i.e. 9::00 AM - 5:30 PM. Note: The library remains closed on Saturdays, Sundays and Central Holidays.